Above are items that will be for sale. Prices generally from $5 to $30. Saturday May 4, 2019 9:30 a.m. to 4 p.m.
We are still accepting donations of new or recycled framed paintings, matted prints, plaqued posters, empty but reusable frames. Contact Pat at offthewall@bell.net for drop-off locations or to have a volunteer pick up items at your residence. Sale of new and recycled works of art - framed paintings and prints, empty frames. * OMAS SISKONA = Grandmothers together. The Stephen Lewis Foundation launched the Grandmothers to Grandmothers campaign in March 2006, in response to the emerging crisis faced by African grandmothers as they struggled to care for millions of grandchildren orphaned by AIDS. What began with only a few groups of committed Canadian grandmothers has since evolved into a dynamic and responsive movement working to mobilize support in Canada for Africa's grandmothers. 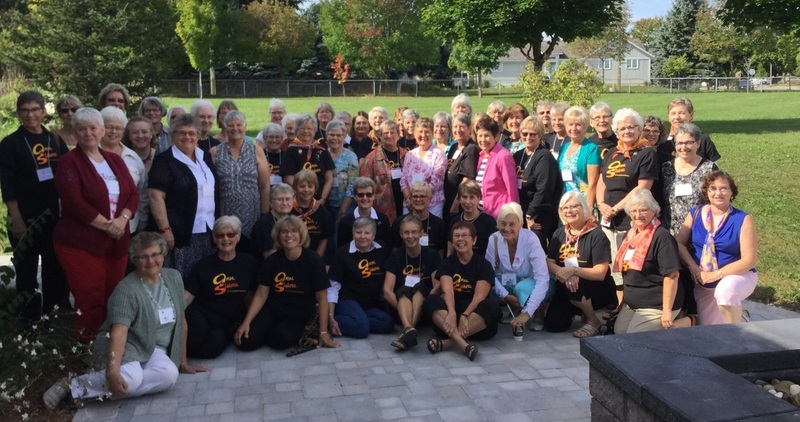 OMAS SISKONA* of KW is one of 240+ grandmothers groups in Canada and around the world partnering with their African sisters to "turn the tide" of the AIDS pandemic in Sub-Saharan Africa. Since our launch in 2008, OMAS has raised over $625,178.79 for the Stephen Lewis Foundation which in turn partners with community-based organizations to provide care and support to women, orphaned children, grandmothers and people living with HIV and AIDS. With about 130 members and many "friends', OMAS meet monthly to plan fundraising events, educate ourselves through invited speakers and DVD presentations, make presentations ourselves on SLF projects in Sub-Saharan Africa, speak to local community and church groups, and advocate for our African sisters. But mostly we enjoy a wonderful solidarity with each other and with our African sisters by working together and having FUN!! !